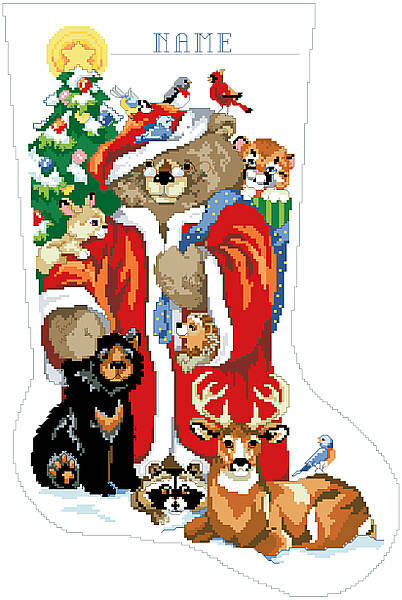 If you're spending your holiday season curled up in a cozy cabin in the woods (or even if you just wish you were) then this woodland stocking is perfect for you. Complete the look with our other Kooler woodland animal stockings and charts. Contents: Stitch Count 139w X 210h, finished size on 14 ct 9-7/8" X 15"